Kate arrived at CCC in 2015 and quickly developed a love for the sport and the club. She has been an enthusiastic parent, committee member and managed the process of new club uniforms in 2018. Kate is a positive, fun and effective member of our team and we are lucky to have her. Katy joined Chadstone in 2007, as a member of our subbies team. She was a natural, delighting her coaches with her graceful talent, incredible back flexibility and gorgeous expressive face. Since then she has moved up through all sections of Chadstone and has been a beautiful team member on and off stage. She represented Chadstone as a soloist, in both calisthenics and graceful open and open reserve solo sections and represented Victoria as a member of the 2014 State team. She has been a helper in intermediates and sub-junior sections for many years. The past two years she has filled our intern position, and spent many hours assisting the committee and coaches in helping the club to run smoothly, to grow and to share our success over social media. She implemented the buddy system and helped create community between our sections, as well as attending many competitions herself. She is an incredible role model for the young women at Chadstone who look up to her. Congratulations to all students who received special awards at our presentation day. These awards recognise particular commitment in 2018. Well done to all the teams and students for an amazingly enjoyable and successful year. Sarah Rodgers was the recipient of the Julie Collis Award. Sarah has helped out over the years as a section representative, Vice President and Secretary. She is always willing to pitch in and publishes a great Newsletter. Congratulations to Samantha Caddaye the recipient of the Bev Gorman Award. Sam has been a participant for 14 years and is now a qualified coach completing her cadetship with flying colours! Sam assisted Juniors, stepped in to help out Sub-Juniors and also took on recreational Masters and Tinies in 2018. She is a great leader and mentor to our younger members. Chadstone Calisthenics Club were the recipients of an Active Club grant designed to increase the promotion and participation of young and older community members in calisthenics. This is a great initiative funded by VicHealth. 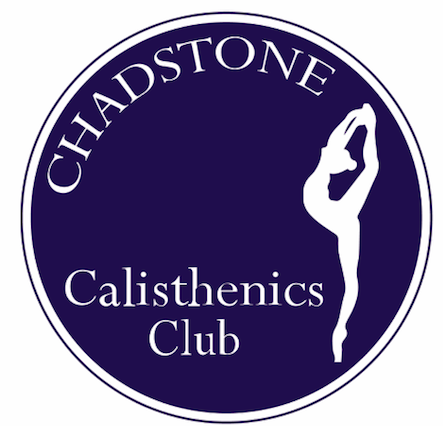 Congratulations to the new committee for Chadstone Calisthenics Club. Congratulations to all students who received special awards at our presentation day. These awards recognise particular commitment in 2016. Congratulations to Jordyn Avery the recipient of the Best Club Girl award. Jordyn is an integral member of our Intermediates and helper with our Juniors. She is a great leader and mentor to our younger members. Kristen Skinner was the recipient of the newly named Julie Collis Award. Kristen spends many hours mentoring and assisting our coaches and is always available to help educate and inspire all those associated with Chadstone Calisthenics. Our 2016 ​solo concert was held on Friday 6th May. What a fantastic night we had with so many beautiful performances from our very talented girls and such a supportive audience. Thank you to everyone who helped organize the night (particularly Stacie and Jess), it ran so smoothly! What a great selfie of all our performers and coaches on stage at the end of the evening! Really looking forward to next years already. ​Chadstone Calisthenics were recently awarded Star Club 3 status. The Star Club Program is a Calisthenics Victoria (CVI) endorsed quality assurance program designed to assist Clubs to identify, prioritise and implement effective management strategies to meet the changing demands on sporting groups. We are very proud of this achievement being one of only 7 clubs in Victoria to reach Star Three and above. ​Congratulations to Isabella Rourke who has been selected to join CVI's first Elite Performance Program. Isabella will be participating in the Domestic Team in 2016 and is certain to have a wonderful time training and performing at this level. Congratulations to all students who received special awards at our presentation day. These awards recognise particular commitment in 2015. Well done to all the teams and students for a fabulous year. Congratulations to Melissa Parkhurst for receiving the Bev Gorman Award for Best Club Girl. Well done to Bronwyn Christensen and Anne-Maree Louden for being joint recipients of the Best Club Person award. Congratulations to our sub-juniors team, coaches and supporters. 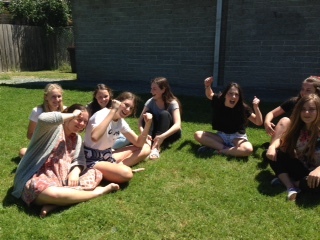 The group has had an amazing year winning CVI and Ballarat. There is a great team spirit that comes through in the performances. Looking forward to seeing you all shine at the 60th Annual Concert on the 6th November! What a fabulous night we had on Friday 8th May for our solo concert. We had 25 girls performing their solos and what a wonderful display of talent and confidence it was. Thanks to all our amazing soloists and dedicated coaches. Special thank you to Stacie Howell for organising and Anna Lockhart for being our MC. ​Thanks to all the members who completed our survey on the 2014 Calisthenics year and ways to improve our club. In appreciation of your time in completing the survey we offered a terms free tuition to one lucky respondent. Congratulations to Stacie Howell whose number was randomly selected! Hopefully you will notice some of your suggestions being implemented over the next 12 months. Congratulations to Charlotte Skinner and Catie Tennant for their selection in the 2015 Victorian Intermediates State Team.​ The 27th ACF National Championships will be held from 5th - 11th July 2015 at the Arts Centre Gold Coast, Queensland. Congratulations to all the members for receiving their 2014 trophies at the Presentation Day. A particular congratulations for the following special awards. Congratulations to the following coaches who have been appointed for 2015. How lucky we are to have such a dedicated and committed team of coaches. Congratulations to Jess Louden for winning the competition to design the poster for our upcoming Annual Concert. For her efforts Jess will receive a $20 iTunes card. Look out for our next competition that will involve all members. Congratulations to Jacqui Lavery for passing her assessment and finally becoming a qualiified coach. Jacqui has worked with the Tinies for a number of years and is the head coach for Tinies this year. Jacqui also helps out with the Intermediates. 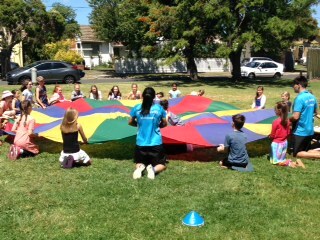 We are so lucky to have two new coaches (Jacqui and Stacie) added to our talented Chadstone coaching team. Congratulations to all our beautiful and talented soloists on your great performances at the solo concert. Thanks to all our wonderful coaches and also Stacie for organising the evening. Congratulations to Stacie Howell for passing her assessment and becoming a fully qualified coach! Stacie has been a valued member of Chadstone Calisthenics Club for 16 years and has been a helper with many sections. 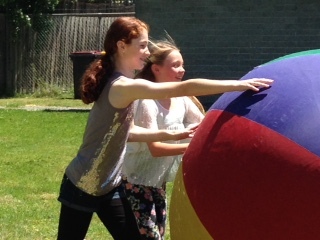 Hundreds of sports and active recreation clubs across Victoria have benefited from $1.8 million of funding from VicHealth's Active Club Grants program. Chadstone Calisthenics Club was one of 8 Victorian Clubs who were successful recipients of the VicHealth 2013/14 Active Club Grants program! We will be purchasing portable Ballet Barres to help with warm ups and develop technique. Thanks to Barbara for submitting the bid. A great night was had by all at the Muppets Most Wanted movie night at the Classic Cinema Elsternwick. 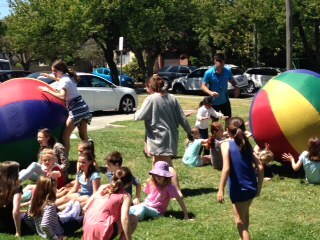 Chadstone Calisthenics Club have recently sponsored a girl through World Vision. My name is Samira Babo and I am 6 years old. I was born on 7 April 2007. I live in MAOKOMO BAMBASI ADP in Ethiopia. Thanks to our coaches and helpers in running an enjoyable summer school for students. Lots of new skills learnt and preparation for the season ahead. Classes start the first week of February. Congratulations to Katy Louden for her selection in the 2014 Victorian Intermediates State Team.​ The 26th ACF National Championships will be held from the 6th to 12th July, 2014 at Hamer Hall in the Arts Centre Precinct, Melbourne. The end of year concert was a wonderful display of the talents of all the teams. Thanks to all the coaches, participants and others for their work in putting together such a fabulous display. Ordered DVDs have arrived and will be available for collection.